But Malia Obama isn't your average 16-year-old: Her driving lessons were provided by the U.S. Secret Service. She added that driving gives Malia "a sense of normalcy," helping her feel like the rest of her friends who are also driving. This story is very interesting because it gives facts about the Obama family which was very unexpecting. I never thought that the story would ever talk about this.tis was an awesome story. 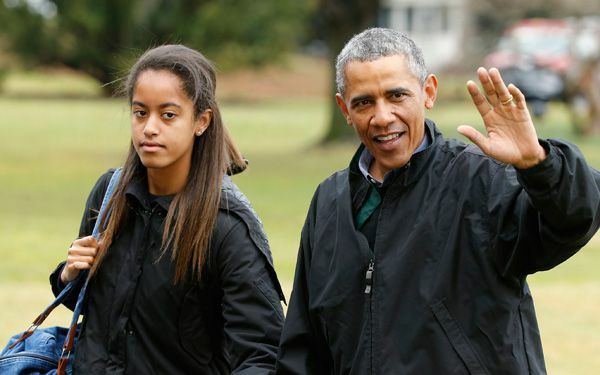 Summary- US Secret Service provided driving lessons for Malia Obama. Michele Obama wants her to drive so she can be like the rest of the kids. Michele Obama wants her to grow up to function as an adult from this. Now Malia drives around Washington.